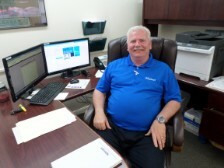 Willie has been working in the automotive industry for 20 years and prides himself with his incredibly large "family" of Kentuckiana customers. His commitment to treat each and every customer with the respect and personal care that they deserve is seen everyday by his fellow workers and is an inspiration to us all. Willie has lived in the Shepherdsville area his whole life and looks forward to adding you to his family. 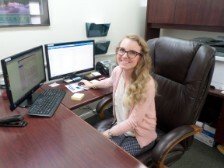 Samantha is a welcome new edition to the staff at the Shepherdsville Location. In her spare time she loves to spend time with friends and family. She also enjoys cooking, reading, and listening to music. 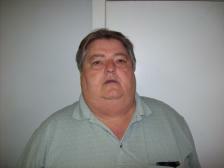 Claude has over 20 years of experience in the car business with his last 4 years spent here. 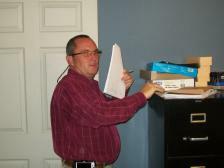 His goal is to continually provide his customers with a level of expertise that is seldom seen in any business setting. Claude enjoys working with vehicles and understands the mechanics so much so that he engineers and manufactures working steam engines that he sells globally. One of his favorite quotes is "I have been and always shall be your friend". Nick has been in the car business now for 2 yrs. He enjoys meeting new people and helping them get the car of their dreams. He has had the benefit of working with Ernie, his mentor and father. Nick is recently married to his lovely wife, Scarlett. They spend their time at home planning for the future and playing with their Pitbull, Thor. When Josh first started at 44 Auto Mart he was a Service Technician. However, because of his outstanding work performance over the last 4 years, he is now acting as the Shepherdsville Service Manager! When Joshua isn't impressing us with his leadership skills he likes to spend time with his family at Nolin Lake. Justin started his career in the car business in 2014 when he joined the 44 team! 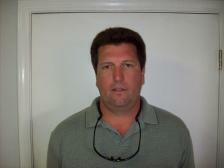 He is one of our expert Reconditioning Managers at the Shepherdsville location. Previously, Justin worked in Quality Control at Amazon. When he isn't hard at work, Justin enjoys shooting guns and playing the guitar. Pat is a welcome edition to our service center. After 31 years he can diagnose a problem with a vehicle just by listening to it? 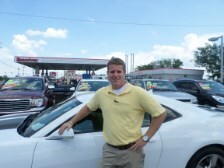 Pat goes over our purchased vehicles before we offer them to the public or even put them on one of our lots. He puts in a lot of hours underneath vehicles getting them in top condition and diagnosing problems! He has been rebuilding cars and trucks for years and at one time was the head mechanic for a race car at the old Louisville Speedway. Steve has been working in the Shepherdsville Service Department since 2011 and is an important member of the team... he knows a lot about fixing cars after 40 years in the business! In his free time Steve likes to take it easy and travel to Tennessee. Theresa, also known as "T" around the office has been with 44 Auto Mart for many years and has always been one of the foundations of the company! One of her main duties it handling payables. 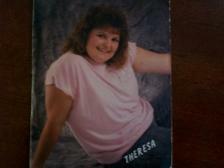 She is the mother of two and enjoys spending quality time with her family. What she really likes is riding her motorcycle with her husband. Madge is our business manager for all 5 locations. 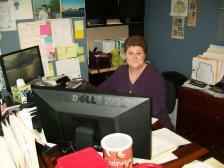 Her duties include payroll, human resources, new hires, handbooks, and various other business affairs. Doris has been managing automotive offices for many years. 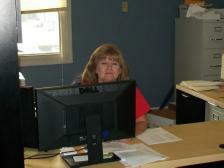 She has handled our office for the last several years and is extremely skilled and detailed when it comes down to it. Doris is involved in nearly all aspects of the office paperwork flow and has implemented several timesaving procedures to help the office run smoothly. She is and has been a valuable asset to 44 Auto Mart. 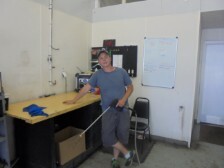 Tommy Nusz has been working at 44 Auto Mart for over 15 years and we couldn't do it without him! Opening up the Shepherdsville store just about every morning, running errands for the Office Staff and making frequent trips to the County Clerk's office are all in a day's work! When Tommy isn't working he likes to enjoy the outdoors and work in his garden. 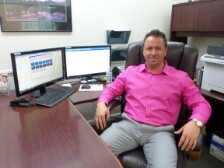 Tony is currently our CFO, and has held many job titles at 44 Auto Mart. He spends his days handling our accounting tasks, along with managing and updating our computer and phone systems. 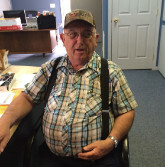 Ronnie has been in the car business for over 40 years. Ronnie and his son Rusty started 44 Auto Mart by selling, buying, wholesaling vehicles and have built the business from 3 employees in 1989 to employing nearly 100 today. 44 Auto Mart is one of the largest pre-owned dealerships in Kentucky with 5 locations, 2 service departments, and 2 collision centers to better serve you. Rusty has been in the car business for over 30 years. Rusty and his father Ronnie started 44 Auto Mart by selling, buying, wholesaling vehicles and have built the business from 3 employees in 1989 to employing nearly 100 today. 44 Auto Mart is one of the largest pre-owned dealerships in Kentucky with 5 locations, 2 service departments, and 2 collision centers to better serve you.